The birthstone for February is Amethyst - known as the 'Bishop's Stone' and is still to this day worn by Catholic Bishops and royalty. 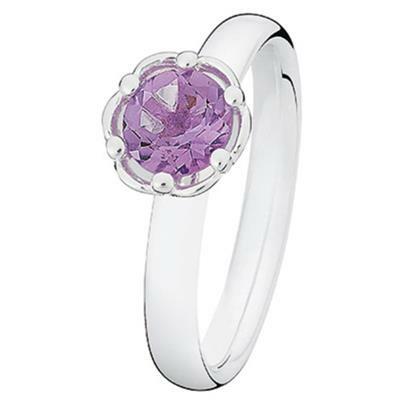 Legend holds that the amethyst has a sobering, neutralising and conscientious effect on the wearer. It attracts peace, love, happiness and spiritual guidance.